Every year, SeaDoc funds important scientific research. These projects will provide information that will help shape future management and policy decisions in the Salish Sea. Supporting this work is a crucial part of what we do, and we’re beyond thrilled to share the four we are funding this year. Our Science Advisors helped select the projects during an intensive full-day review session in Vancouver last month. We were specifically looking for projects to address pressing questions in the Salish Sea related to transboundary issues, forage fish, diseases affecting marine wildlife, and One Health. The funded projects are below. Big thanks to SeaDoc Society donors who make this work possible. 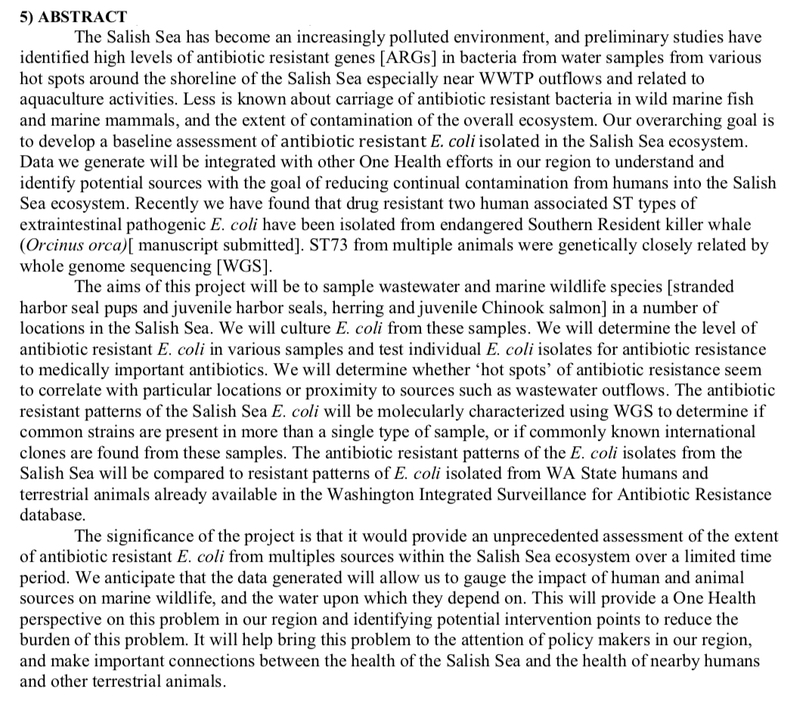 What factors predispose wildlife in the Salish Sea to infection? This study will look specifically at a fungal infection called mucormycosis, which recently killed a Southern Resident Killer Whale and has killed multiple harbor porpoise. We don’t know much about these fungi and this study will help us understand how infections are acquired, their possible sources, which animals are at risk, and how to minimize the chances of an animal getting the disease. The results will increase our ability to predict and mitigate this disease in cetaceans. 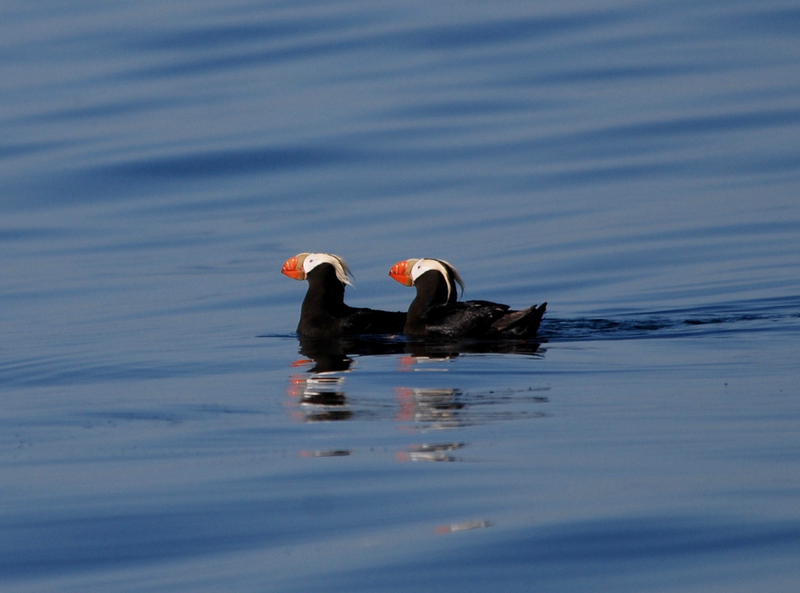 One-third of the birds that use the Salish Sea are listed as threatened or endangered. With so many bird species in decline, it is critical that we know what the important causes of death are for them. This project is a major first step in understanding what diseases are impacting birds in the Salish Sea. We know birds are dying and many species are in decline, but what are the specific causes of death? This is the first comprehensive study of its type, and it establishes a mechanism for answering that very question. Bacteria can become resistant to antibiotics, creating a problem when trying to treat humans or animals infected with them. Antibiotic-resistant bacteria have been found in killer whales and harbor seals, but we don’t understand how antibiotic resistance moves among different inhabitants of the Salish Sea. Are human beings doing something that is increasing the spread of antibiotic resistance? Understanding how resistance spreads will help prioritize potential intervention points and allow the development of potential solutions to reduce the burden of antibacterial resistance in the region. How does exposure to petroleum-based chemicals during early development impact the long-term health and fitness of Pacific herring? Specifically, does it make them more susceptible to disease? 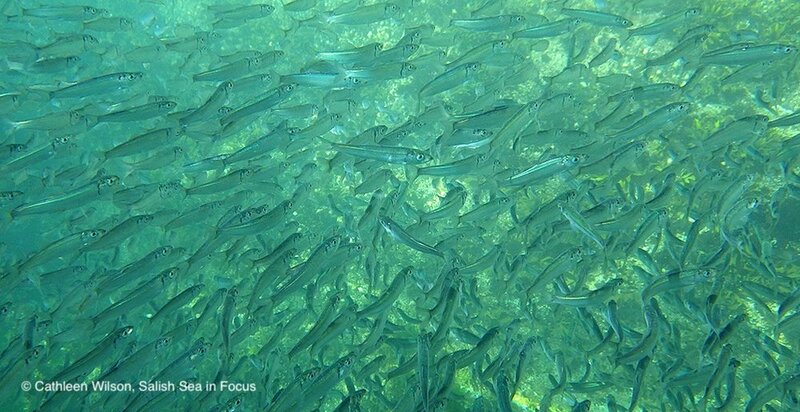 Herring are a critical part of the Salish Sea food web. They are rood for everything from salmon, lingcod, marine birds and marine mammals. Some stocks of herring are not doing well and understanding how multiple factors could play a role in these declines is important. This study will use genetic tools to understand how different genes are expressed after exposure to hydrocarbons to help us ultimately understand how multiple stressors interact with one another to impact herring survival.